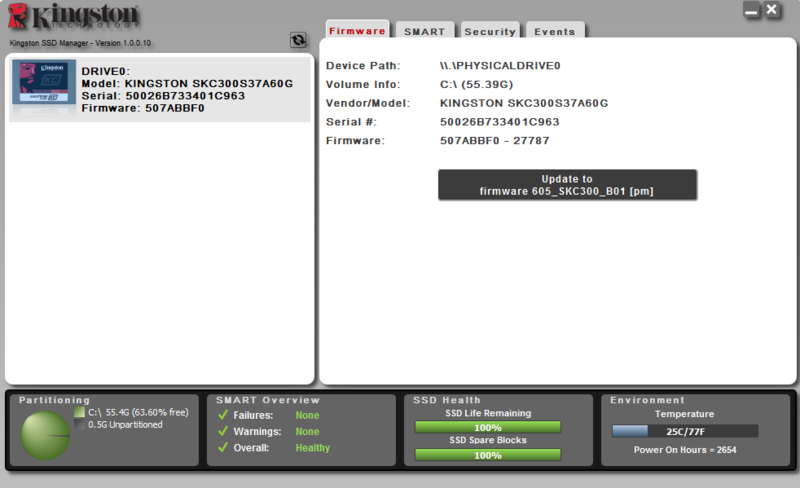 If you need to update the firmware for your Kingston KC300 SSD start by downloading the .zip file from this link. Once that is downloaded you can run the .exe file which will install the Kingston SSD software, and after that is completed launch the newly installed utility. After update is complete you can either keep the software installed or uninstall the software. 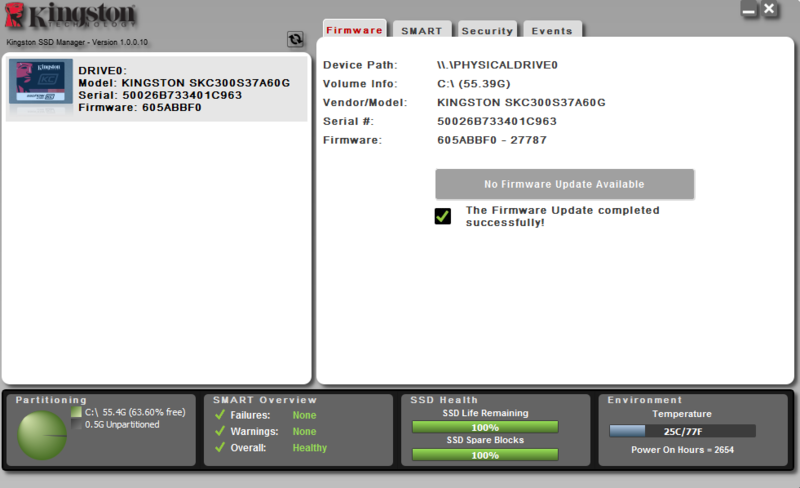 This applies to the KC300 60GB, 120GB, 240GB, and 480GB.